I posted my Croatian photo diary a few weeks back, but there is a super wicked spot I stayed that needed its own shout out. 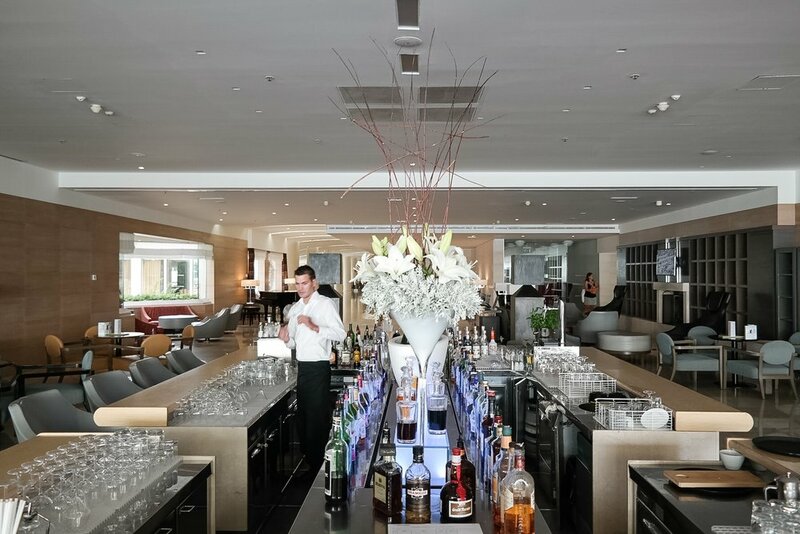 Le Meridien Lav, Split was a little piece of heaven on our travel adventures. Prepare for some serious Lux Wonderlust envy... As you may know, I travelled to Croatia with my best friend back in September. 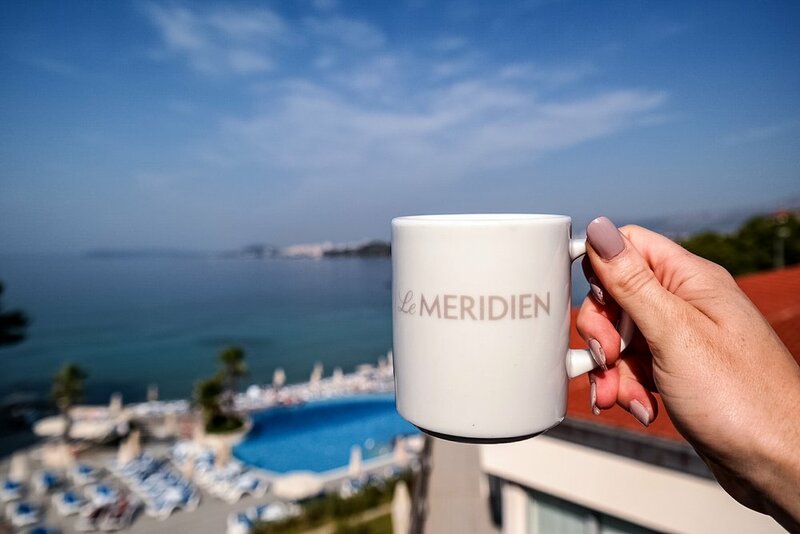 We had the pleasure of staying at some awesome spots, but nothing was quite like Le Meridien Lav in Split. We planned our trips ups and downs accordingly.... Adventure, meets party, meets spa retreat... and guess which one this was? Besides the fact that we were totally blown away by the downtown of Split and how trendy the nightlife and restaurants were (seriously tons of tourists skip over Split, but the city is incredible at night! ), Le Meridien Lav was just a few miles out of the core of down town in what is known as Podstrana, or a little piece of luxury. In short, there was a beautiful marina filled with parked yachts and speed boats. 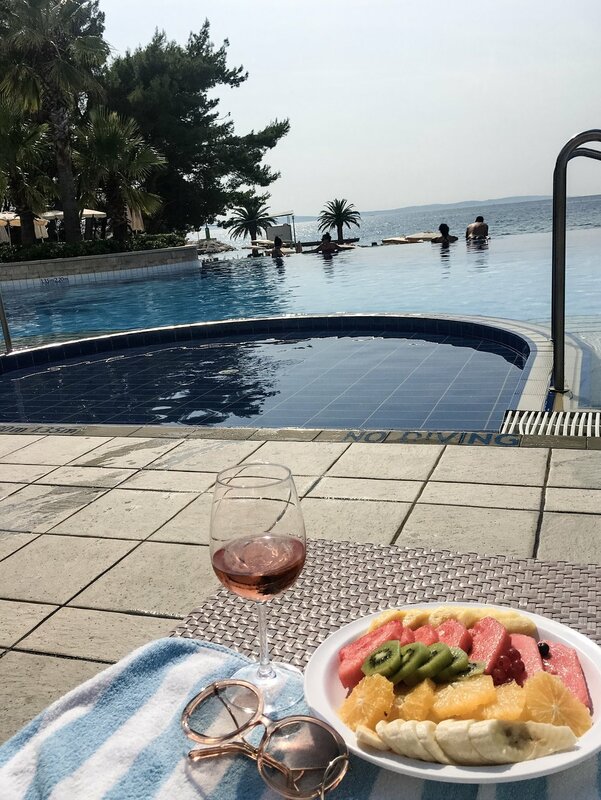 There was a delicious pool bar, lobby bar, breakfast spot (and the rosé at the lobby bar was top ladies and gent... is no lie, Croatian Rosé is serious ;) !) There was a spectacular spa. An infinity pool over looking the Adriatic Sea. A beautiful whirl pool and sauna. The rooms were perfectly equipped with everything you needed while traveling and ours overlooked this beautiful view below. You may have guessed it.... This was our spa get away right before we headed back to the croissants and chic stylings of Paris, France. This spot was a stop off that recharged and elevated our entire trip. Tons of people have been asking me about my travels to Croatia as they plan for their spring and summer upcoming adventures. 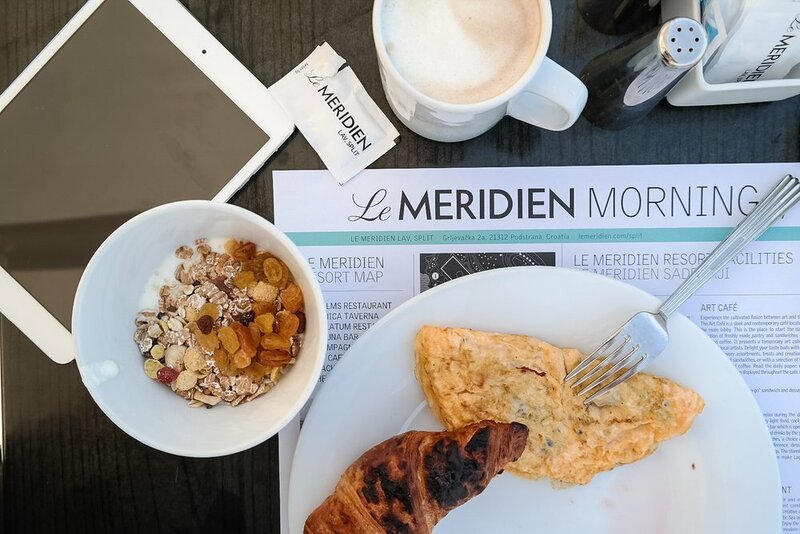 I would highly recommend Le Meridien Lav to be part of your itinerary. This country can offer any traveler the perfect combo of adventure meets luxury, just as I adore!